The magnolia is a family of approximately 80 species of trees and shrubs. While most magnolias grow in the tropical and subtropical regions of the southern United States, a few hardy varieties might grow as far north as southern Michigan. The largest magnolias, Southern Magnolias, can grow up to 80 feet tall. 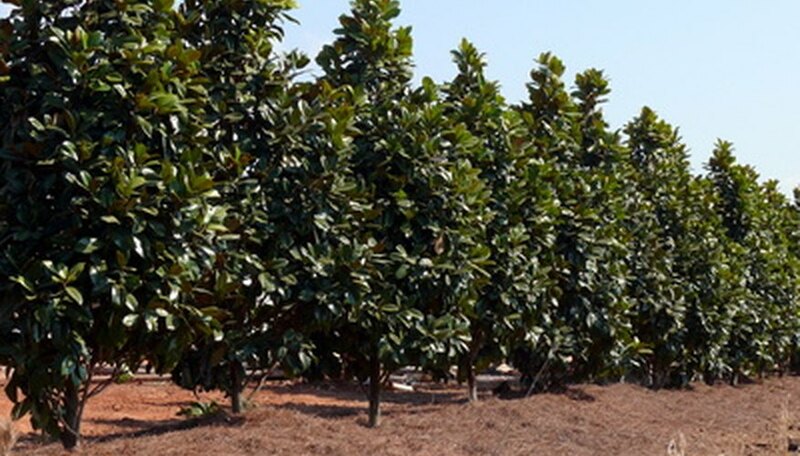 One of the fastest and most reliable ways to propagate large stands of magnolia is through grafting, according to the University of Florida. Side veneer grafting is the preferred method for grafting magnolias. Take a scion branch from a magnolia tree in late fall. Although many species of magnolia are evergreens that do not shed leaves, the plant still experiences a dormant stage during which it does not grow. For side grafting, a magnolia scion should be between 1/2 inch and 1 inch thick. Store the scion in a plastic freezer bag with some damp peat moss through the winter to keep it from drying. Place the scion in a refrigerator that stays a constant 40 degrees. Prepare the graft in spring when the first buds on the rootstock tree emerge, but before they bloom. Cut the magnolia scion to a blunt point with one side of the tip slightly thicker than the other. Position your grafting knife along a smooth section of the trunk or side branch of the rootstock tree. The cut should be at least 1 foot away from the soil line or the point where the side branch joins the tree. Cut into the rootstock branch at a 45-degree angle almost completely into the center of the wood beneath the bark. Bend the branch backward to expose the cut and insert the blunt tip of your scion. The smooth cut edge of the bark of the scion and rootstock should touch so that they can heal together. Release the branch to close the cut around the scion. Cover the union with a grafting emulsion. Wait two weeks for the union to heal. Then prune away the rootstock branch at a point 2 inches above the union.